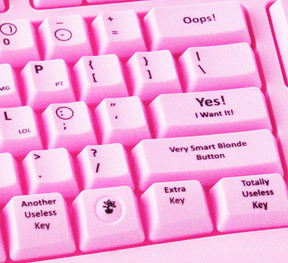 A pink keyboard for blondes. 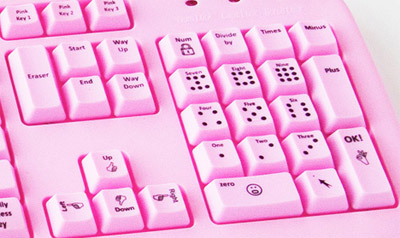 Also, on the website for this beast, they show lots of people using the keyboard… not as a keyboard. 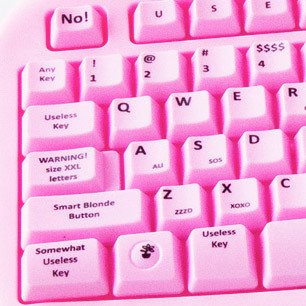 Apparently blondes are so dumb they don’t even know what this contraption is for.